The Red Oak is very similar in large growth and habit to the Irish Oak with it’s toothed leaves and Autumn acorns. Its leaves turn a deep scarlet red in the Autumn with a stunning display. 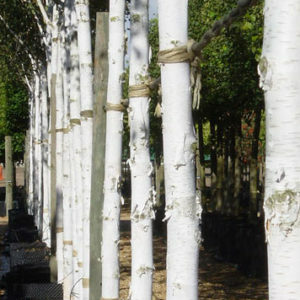 It’s mature height can be in excess of 14 metres so consider carefully when planting this giant of trees. I have planted one of these in my own garden as the ideal tree for a tree house due to its stature.